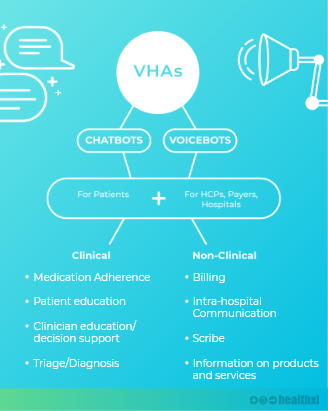 Today, we are releasing our report for Q1 2019 focused on Virtual Health Assistants (VHA), and their use in care management and population health. The report looks at the investment landscape, clinical evidence, and regulatory environment for VHAs, and also explores end-user feedback and case studies looking at both the positives and negatives of VHAs. We want this report to be a go-to resource to understand and build your knowledge of the burgeoning virtual health assistant space in healthcare. 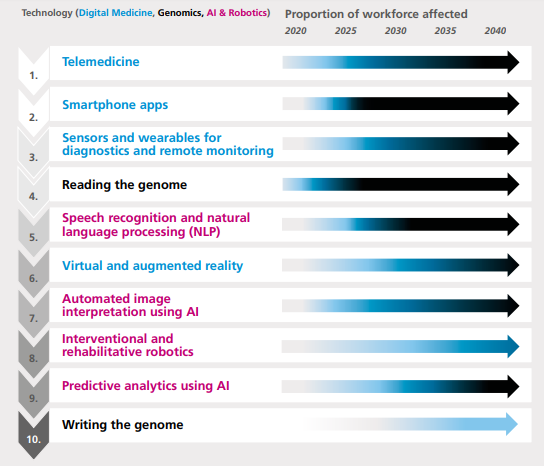 Commercial models are still nascent, the technology (AI) is premature, clinical evidence is sparse, integration into existing EMRs/ health records is incomplete, and data security concerns exist. Despite all of this, will AI assistants rise above being "second-class concierge"? We realized that over the months, we have discussed some recurrent themes - the promise of artificial intelligence in healthcare, telemedicine, and virtual patient monitoring. We also spoke plenty of the opportunity for voice enabled devices that can really help us manage our health at home, and help physicians do less administrative work. Maybe we should add more colour. It is a no-brainer that everybody is complaining about rising healthcare costs, hospitals with full occupancy, physicians in the dark about what happens with their patients in between follow-ups, patients frustrated about wait times and lack of access to healthcare staff. Pharma want to move from a transactional relationship with their patients to a value-based one, and payers want their customers to understand what they are eligible for (patients want this clarity more than ever). So, is there one group of solutions that might help address all of these pain points? Looks like yes! Virtual health assistants to the rescue. Since we are talking about the NHS, let us use that as an example. Each year, there are approximately 340 million GP consultations, 63 million outpatient attendances, 24 million A&E attendances. If a VHA could save just 1 minute of time per consultation (either by being a scribe, or by helping a patient reduce their attendance to these facilities), annually, that equates to 5.7 million hours of GP consultation time, 1 million hours of outpatient clinic time and 400,000 hours of A&E consultation time. This could be huge. In our report, we have clarified that not every form of digital care delivery qualifies as a virtual assistant. VHAs are relational agents or interfaces that are infused with the knowledge of a specific domain that supplement the need for humans in wellness, healthcare, and disease management. VHAs enable sharing data, and boost health system capabilities without having to add more bodies. VHAs aim to streamline the healthcare experience for everybody - patients, payers and caregivers. VHAs may take any form factor - they may be voice-based through a home assistant or chat-based via your phone or desktop. Investment, Partnerships - More Money, More Impact? 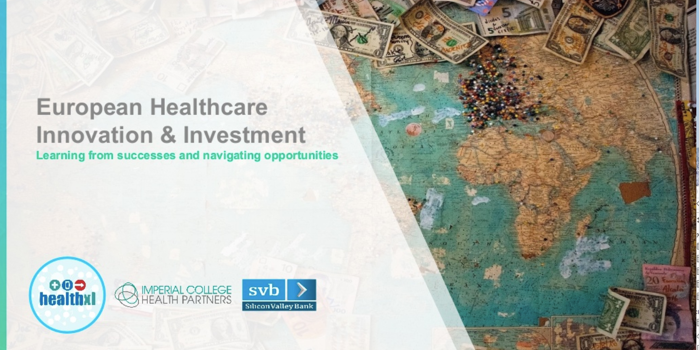 We leveraged the HealthXL Data Platform to explore the investment landscape of VHAs to understand what type of capital is being deployed to this emerging market. As the above graphs demonstrate, investments in VHAs have been rapidly growing since around 2015, which interestingly corresponds with the ubiquity of smartphone and voicetech usage. Investors have recognised the growing pool of potential end-users and the manner in which VHAs could seamlessly integrate into our day to day lives. There has been a total amount of $501M invested in VHAs across 132 investments. 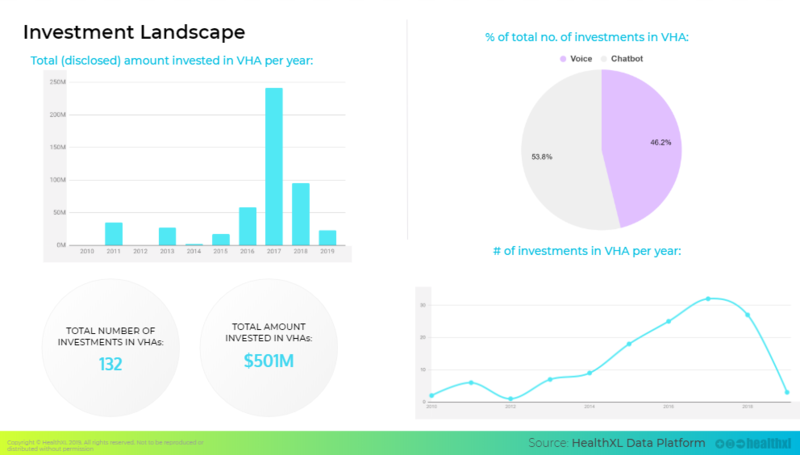 The top funded companies in the VHA space are HealthTap ($88M), Babylon Health ($85M), and Ada Health ($69M), which all feature patient triage and symptom checking capabilities, which may indicate what investors see as the most lucrative use case (not that returns have been seen yet). Key stakeholders across healthcare are also recognising the potential value of VHAs and engaging in pilot programs and cross system collaborations and partnerships. We are seeing a large number of health systems, pharmaceutical companies, and big tech either entering into partnerships with VHAs or building their own. The flipside of the collaboration is that many partnerships are still stuck in pilot. But it is one step ahead of many other technologies that are still basking in their investment glory. Many Virtual Health Assistants’ creators have carefully edged the line of diagnostic support serving simply as a recommendation you can either take or leave, and shied away from having the responsibility of a reliable diagnostic. While many solutions existing in this space champion their clinical intelligence and validity and plaster disclaimers across their offerings, there is a growing call for robust clinical validation and insight into the AI ‘black box’ in order to continually validate the efficacy of these solutions. To date, evidence provided on VHAs has been sparse. We are not calling for large scale RCTs, lengthy peer reviewed publications and full onus on startups - but we are calling for replicable and transparent processes and for the question and answer of evidence to be addressed before these solutions make it into the hands of consumers. This needs to be a collaborative effort by regulators, policy makers, practitioners and innovators alike. We would also like to see uniformity in what type of evidence we want to see as an industry, a framework, if you will. Our VHA report proposes a risk assessment framework for diagnostic virtual assistants, while also assessing the existing body of evidence (technical assessment, RCT, safety and feasibility study) that exists for the VHAs we have identified and mapped. No piece of content written about healthcare tech is complete without addressing the elephant in the room - regulation and compliance. It is crucial that the underlying data on which many VHAs rely are subject to transparent, robust and legally enforceable data governance policies and structures. Privacy, security, interoperability, usability must all be considered. In our report, we look at HIPAA and GDPR as the two global standards for data regulation. For HealthXL, the one piece missing is the universality of guidelines - no like for like in the different regions. There is also a lack of clear regulation on the AI element fuelling these virtual assistants - the importance of the data that is feeding into these algorithms - the larger, cleaner the dataset, the better the power of prediction. AI is not bias free. Case Studies - Why are they noteworthy? Big tech companies are eyeing the healthcare prize - we have harped on about this in previous blogs and at our events, so, it only seemed obvious to continue the discussion focused on Alexa here. Amazon is building on its smart speaker, Alexa, to transform it into a voice-enabled virtual health assistant. 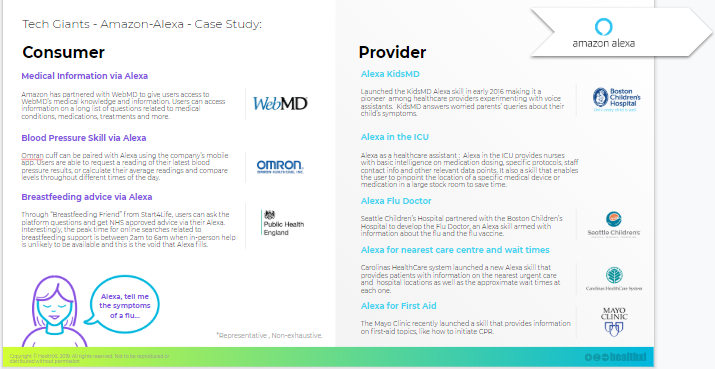 Amazon has established a specific healthcare team for Alexa. Diabetes management, care for the elderly, and care for new mothers and infants are specific targets of the team, strategically focusing on a wide range of people and use cases. Babylon Health: We simply had to talk about the skepticism of their symptom checker, the increased ED visits (to 30% compared to the 20% referral reported by the traditional NHS 111 helpline), doctors challenging the accuracy of the triage tool, the costs on the Babylon practice at CCG Fulham skyrocketing, etc. But at the same time, Babylon is doing some good work to address social differences in access to health in countries like Rwanda. China - virtually a bot hub: We have featured The CareVoice, a voice-enabled VHA who have partnered with major insurers in the Chinese market including AXA Tian Ping and Ping An Health providing a supplementary service enabling those already covered by these insurers to navigate their care options through the app alongside a VHA capability offering a diagnostic support tool. 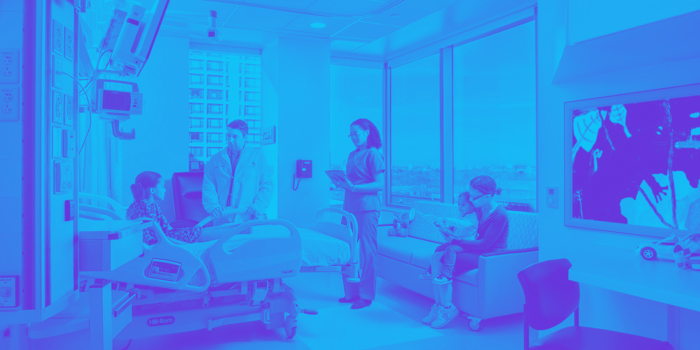 Conversa Health: As a VHA with multiple hospital partnerships, collecting outcomes as they roll out their solution and as one of the VHAs in the care management and population health space. What do Patients and Doctors Have to Say? To us, the perception of end users (and ultimately usage) of any product or service is of utmost importance. Irrespective of investment dollars, if patients and physicians do not wish to use something, there is no point in it. We approached a group of ‘consumers’ and doctors and investigated the levels of awareness, openness and trust they have in VHAs, as well as differences in opinion by age, location, and other parameters. The full survey findings are included in our report. Contact chandana@healthxl.com for more details on the report.